Jan Hendrickse is a composer and performer.His work crosses the boundaries of performance, installation and composition and commissions include works for Töne festival, Deptford-X, Soundwaves, CHROMA ensemble. He has worked in a wide variety of contexts, having developed participatory projects for the Barbican Centre, the Philharmonia Orchestra, BBC Concert Orchestra and BBC Proms, amongst others. Internationally, projects have included work in Europe as well as Tanzania, Gambia, Thailand and Palestine. 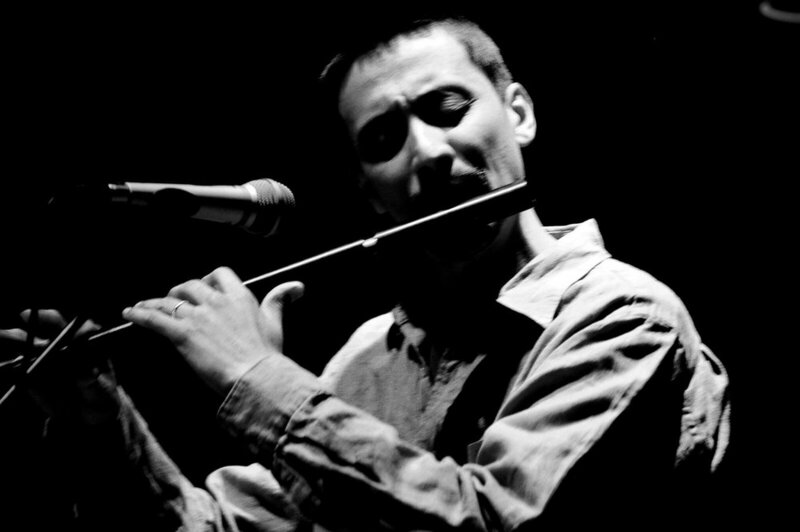 As a performer, he has appeared with a wide range of artists and ensembles including Howard Shore, Ornette Coleman, Nitin Sawhney, David Toop, Mark Fell, The London Philharmonic Orchestra, The Ulster Orchestra, Britten Sinfonia, BBC Concert Orchestra, and the Bournemouth Symphony Orchestra. As a traditional woodwind specialist he is in demand for ﬁlm soundtrack recordings, and has featured on The Lord of the Rings, The Passion of the Christ, Apocalypto, Troy, Two Brothers, Beloved, The Cell, Chocolat, The Truth about Charlie, Four Feathers and Charlie and the Chocolate Factory amongst many others. Jan has been the presenter of the BBC Internet broadcast journeyThe musical Nomad which researched music and culture in Central Asia in the post-soviet period. His research into collaborative practice Trans-cultural Arts Practice is published in The Reﬂective Conservatoire (Ashgate/GSMD) and he has recently been a research associate at the Guildhall School of Music & Drama where he teaches MMus students. He is also currently the recipient of a PhD studentship at the University of Kent. His research interests include freely improvised music, sitespeciﬁc and socially-engaged practices.